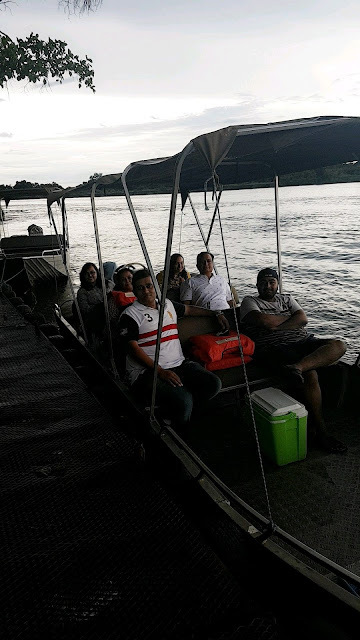 Zambia beckoned me after 5 years … The country that made me my own person ! 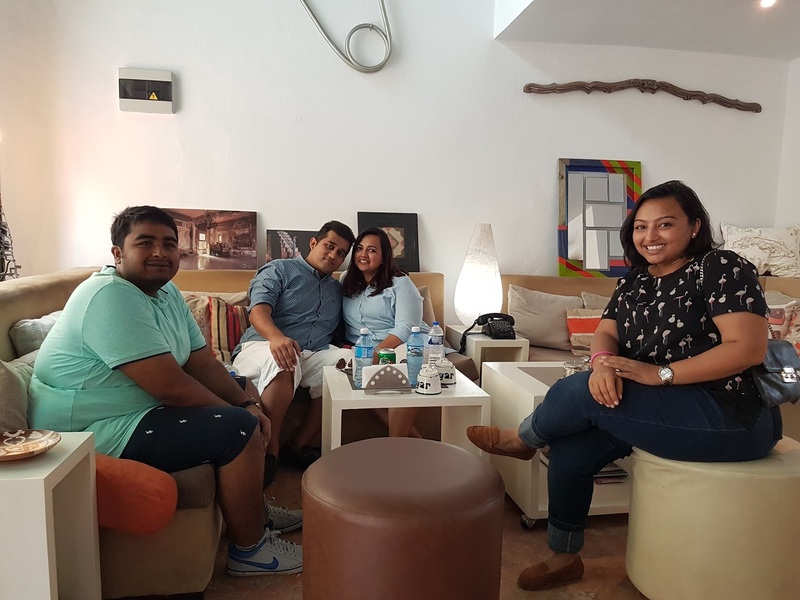 It was exciting for me especially because I went there with Kunal for the very first time … He had yet to see a little part of my life which remained in stories up until then. Zambia’s capital of Lusaka deserves to be more than simply a pit stop or way station between national parks – its modernity as opposed to other African Nations and cosmopolitan mix of people offer a window to understanding the country as a whole. The city’s young and stylish hit the happening restaurants and clubs, many of which are in and around Manda Hill and Arcades Shopping Centre. While admittedly overwhelming to the senses, the city’s outdoor markets are worth experiencing to see how ordinary Lusakans do their everyday shopping. 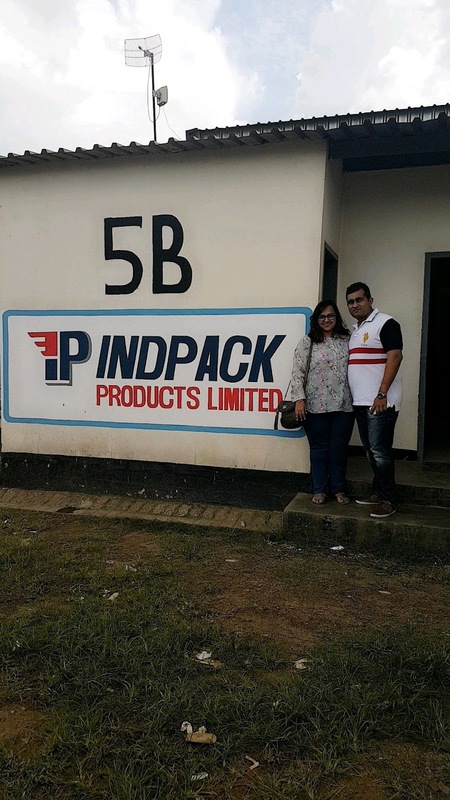 Our First stop had to be in Chinika where we visited our factory … It was such a proud moment for me when everyone welcomed us !! They were happy to see me but I was happier seeing them.. The rewards of travelling in Zambia are those of exploring remote, mesmerising wilderness as full of an astonishing diversity of wildlife as any part of Southern Africa. 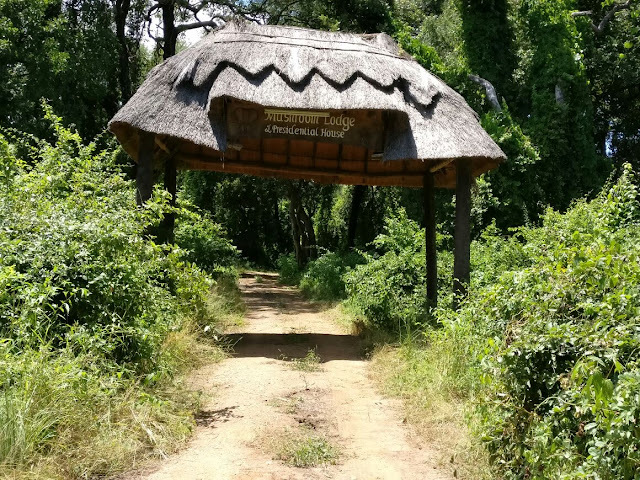 Adventures undertaken here will lead you deep into the bush where animals, both predators and prey, wander through unfenced camps, where night-time means swapping stories around the fire and where the human footprint is nowhere to be seen. Where one day you can canoe down a wide, placid river and the next raft through the raging rapids near world-famous Victoria Falls. Though landlocked, three great rivers – the Kafue, the Luangwa and the Zambezi – flow through Zambia, defining both its geography and the rhythms of life for many of its people. For the independent traveller, however, Zambia is a logistical challenge, because of its sheer size, dilapidated road network and upmarket facilities. For those who do venture here, the relative lack of crowds means an even more satisfying journey. We were lucky because my dad together with business friends had it all arranged for us. We hit the road on day 1 post factory visit instantly. 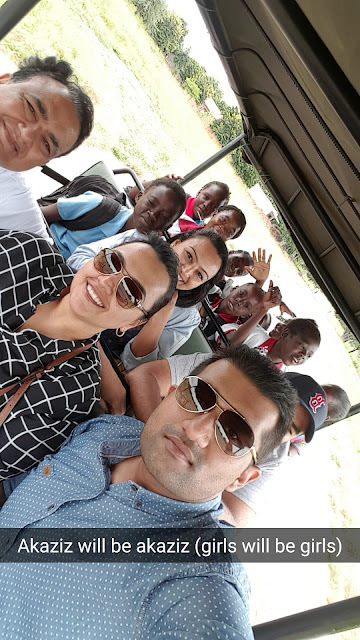 We visited the Kafue temple which every Indian residing in Zambia is so very proud of. No trip is complete without a pit stop here !! We continued on a beautiful ride up until Chinika border town and then a dilapilated road for the next hour to arrive at the Kiambi River Lodge ! 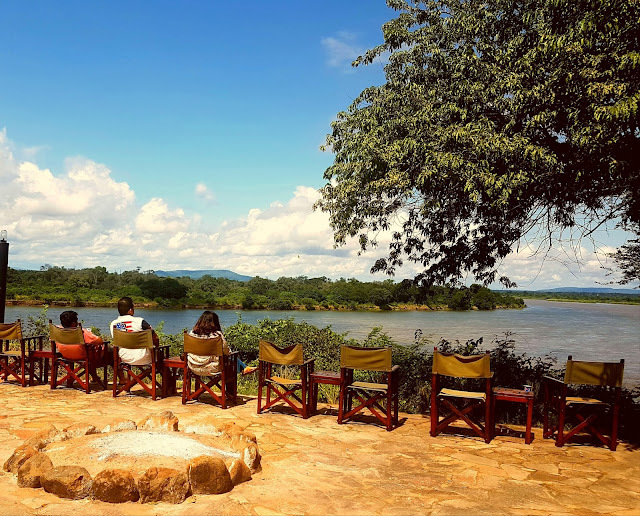 There are lodges small and large each overlooking the Kiambi River ... Ours was beautiful ... The Lodge , Bar and Dining Area is constructed of natural materials: thatch, reeds and stone flooring with Rhodesian teak furnishings transporting us in Minutes for the whole Jungle Safari theme. The setting along the banks of the Zambezi is incredible. 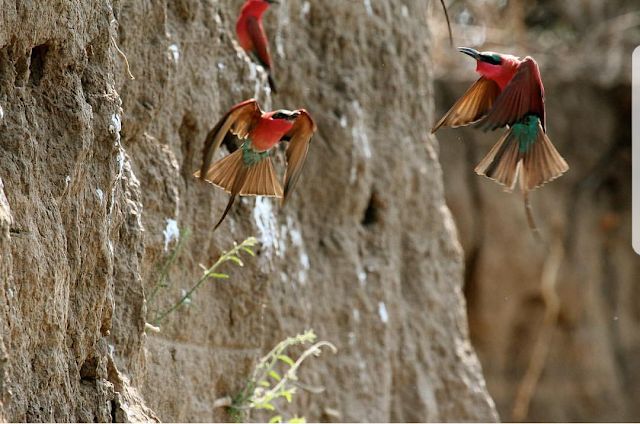 Looking out at the elephants, cape buffalo and hippo's grazing on the islands…And those Carmine Bee Eaters look a Magical shade of red against the muddy banks !! 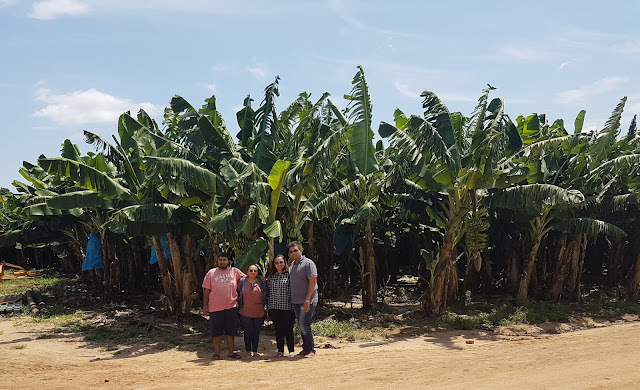 On our way back we stopped by a Banana plantation. A quick chat with the workers on the Plantation revealed there is so much more to this produce than what meets the eye. Science, Cold Storage and an advanced knowledge of irrigation system has made exporting Bananas so much easier. We plucked and ate one right from the bunch and enjoyed its sweet taste …. Oh Mother Nature !! 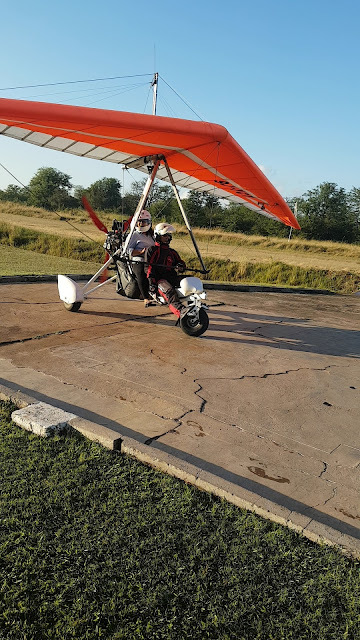 We returned to Lusaka for the night and immediately hit the Pro-Flight Tarmac to South Luangwa National Park… if you are a group of 12 it maybe just over 30$ extra per person to charter a flight. For scenery, variety and density of animals, South Luangwa is the best park in Zambia and one of the most majestic in Africa. 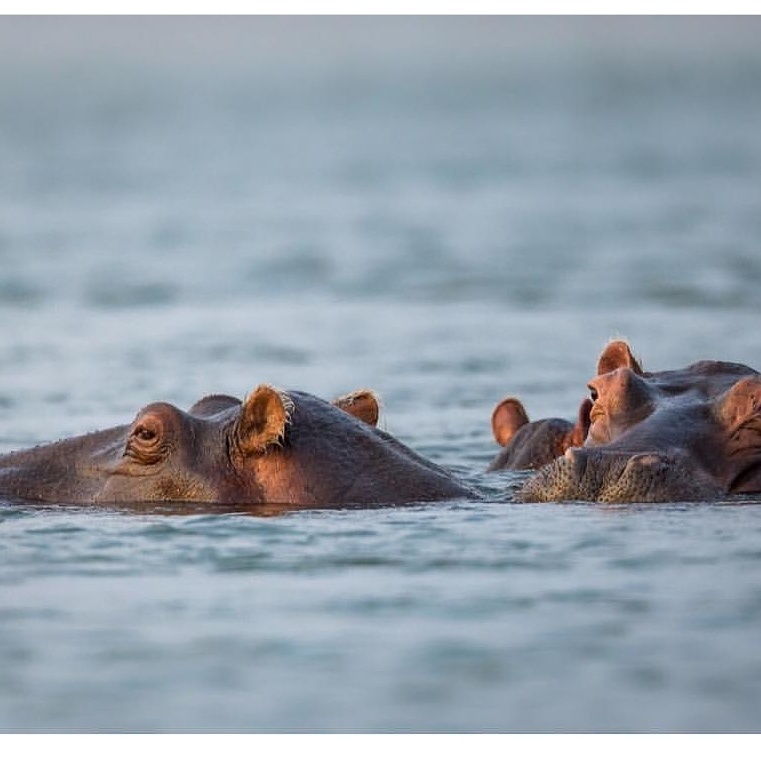 Impalas, pukus, waterbucks, giraffes and buffaloes wander on the wide-open plains; leopards, of which there are many in the park, hunt in the dense woodlands; herds of elephants wade through the marshes; and hippos munch serenely on Nile cabbage in the Luangwa River. Around 1.8km further along is Mfuwe Gate, the main entrance to the park, where a bridge crosses the Luangwa River. Much of the park is inaccessible because of rains between November and April. We stayed at Mushroom Lodge … which looked like our second home because my mother and sister ran a vegetarian cooking lesson for the staff through all the days we stayed there. 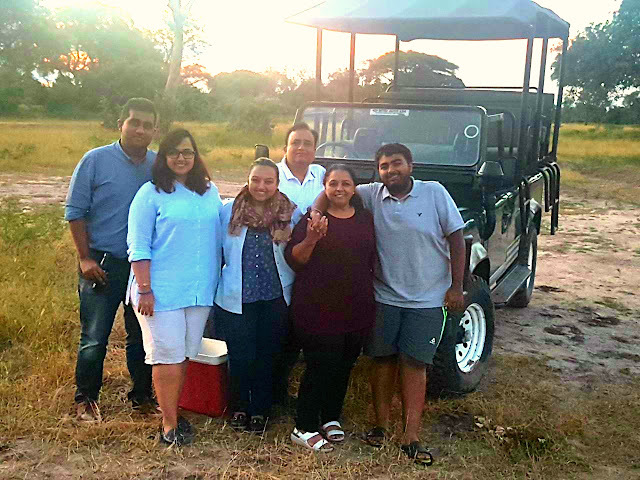 The Safari staff ran excellent day and night wildlife drives. These activities are included in the rates charged by the upmarket places, while the cheaper lodges/camps can organise things with little notice. The wide Luangwa River is the lifeblood of the park. It rises in the far northeast of Zambia, near the border with Malawi, and flows southward for 800km. It flows all year, and gets very shallow in the dry season (May to October) when vast midstream sandbanks are exposed – usually covered in groups of hippos or crocodiles basking in the sun. Steep exposed banks mean animals prefer to drink at the park’s numerous oxbow lagoons, formed as the river continually changes its course, and this is where wildlife viewing is often best, we had some really good close-ups, especially as the smaller water holes run dry. We would return to the lodge for lunch and a rest. But soon enough, it was time to head out again. We left in the afternoon, still suitable for viewing game. 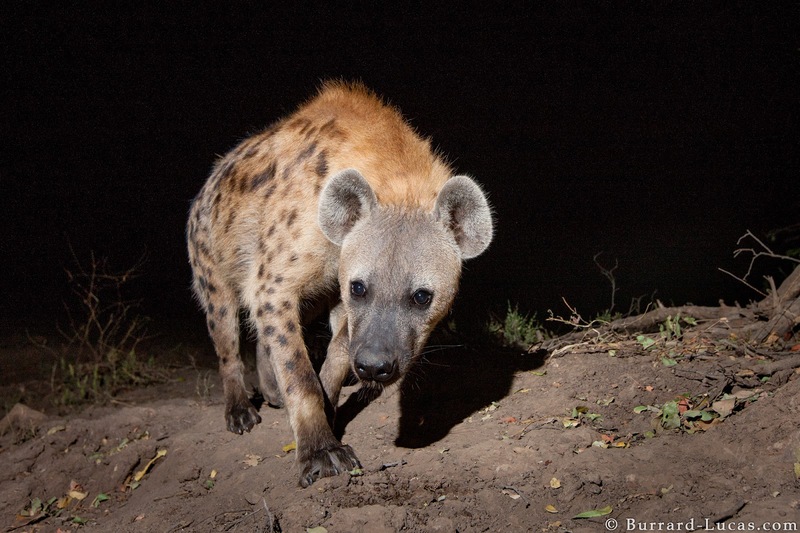 We would stay out past sunset and drive into the night, hoping to see nocturnal activity. This particular afternoon was one to remember. The best part about South Luwanga, aside from the healthy large populations of animals and the few and far between tourists, is that unlike many more commercialized game preserves, the drivers at Mfuwe aren’t restricted only to the dirt road. Peter was never afraid to make his own tracks, in fact he did it all the time. While some may say this is dangerous, I never felt like I was in eminent danger. Yes, sometimes being so close to dangerous predators was scary but it was also lost in excitement..
exhilarating that I always got lost in the excitement. After having seen The Leopard .. 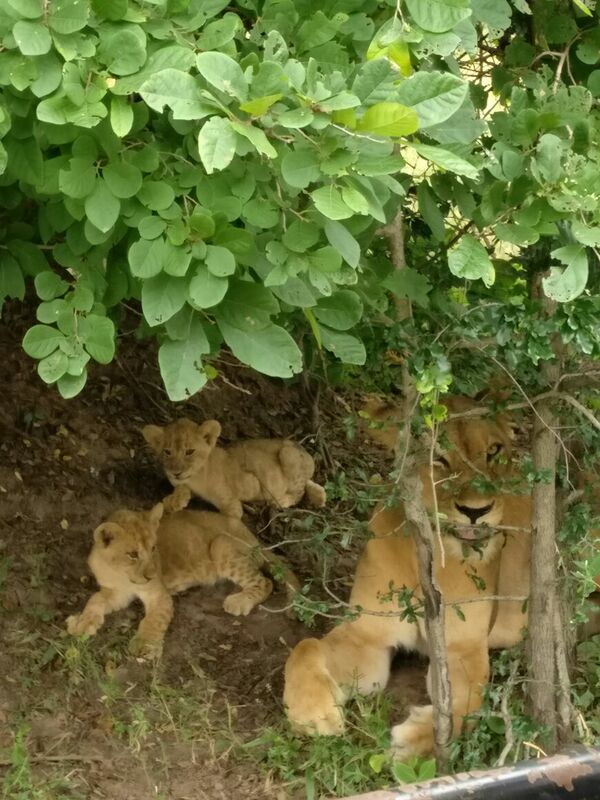 The Lion … The Lion Cubs in the first two safaris , all we asked was The Kill … I Mean we were being greedy but every safari goer wants to tick this off their list, don’t we ?? The Kill – There are two ways to look at how a person who follows the Jain Faith looks at it – The educated me looked at it as a nature’s cycle. The smaller gets eaten by the larger and in turn the largest feasts – Law of the Jungle … and then it’s the Heart that feels bad at wanting to see THE KILL. If you are my mother you will hear the sound of Crushing Bones and 6 Lions over a poor Impala feasting and think you have added to bad karma. She did not eat dinner that day to pay penance at feeling helpless that she couldn’t do anything while us children photographed and snap chatted away !! Elephant numbers are very healthy, even though ivory poaching in the 1980s had a dramatic effect on the population. 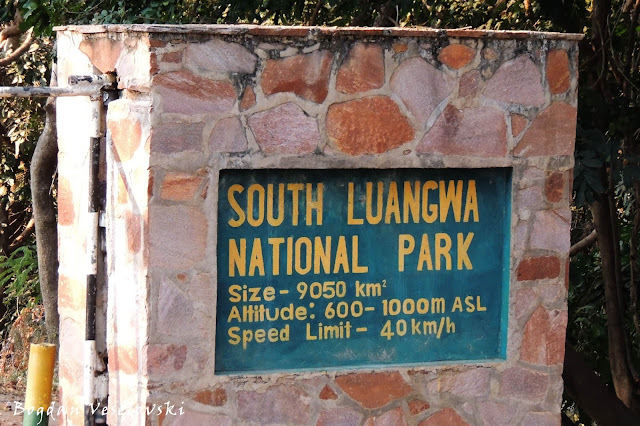 This park is also a great place to see lions and leopards (especially on night drives). We saw a heard of 6 lion in a kill, 2 cubs with an injured Lioness and a Leopard in a kill thanks to the amazing tour guide and spotter !! 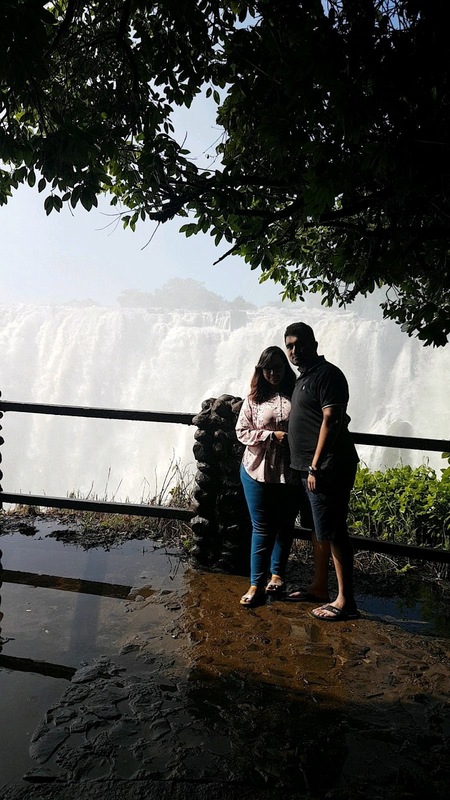 No trip to Zambia is complete without a visit to Victoria Falls … Taking its place alongside the Pyramids and the Serengeti, Victoria Falls (Mosi-oa-Tunya – the ‘smoke that thunders’) is one of Africa’s original blockbusters. And although Zimbabwe and Zambia share it, Victoria Falls is a place all of its own. As a magnet for tourists of all descriptions – backpackers, tour groups, thrill seekers, families, honeymooners – Victoria Falls is one of Earth’s great spectacles. View it directly as a raging mile-long curtain of water, in all its glory, or peek precariously over its edge from Devil's Pools; the sheer power and force of the falls is something that simply does not disappoint. Whether you’re here purely to take in the sight of a natural wonder of the world, or for a serious hit of adrenalin via Micro Flight like we did above the Zambezi, Victoria Falls is a place where you're sure to tick off numerous items from that bucket list. There are so many people to thank for this successful trip but most of is my parents who are constantly pushing us to try different things ... to explore terrains not many people venture out to and always being our biggest critics !!! 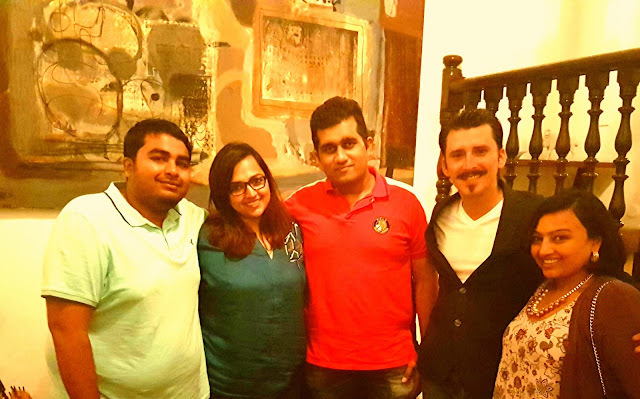 This trip and every other trip we take with them are full of learnings worldwise and otherwise... Love you guys. 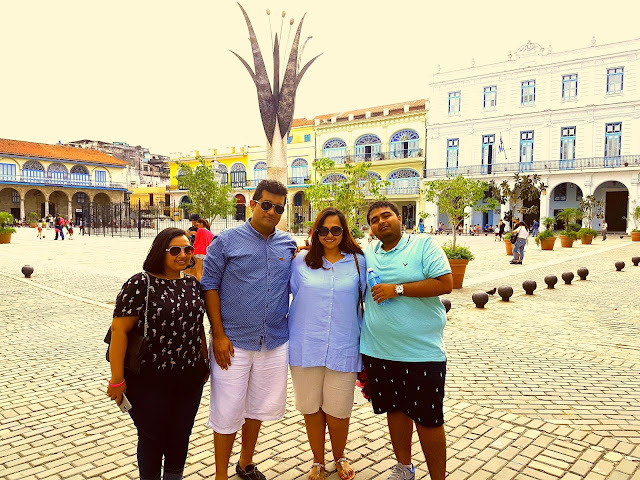 We were staying on the beautiful Malecon in Hotel Melia Cohiba. The Malecon is a promenade facing the sea, around it many buildings lie ruined and tattered like aging dowagers waiting for a facelift. Meticulously preserved, where grandiose lobby with its gold edged railings and a magnificient lobby bar and restaurant tell erstwhile tales of opulence and intrigue. We were in the Level Room which is the higher category New Rooms in the hotel. From our 21st floor Sea Facing room and city facing jaccuzzi Cuba looks timeworn but magnificent, dilapidated but dignified, fun yet maddeningly frustrating - Cuba is a country of indefinable magic. Each day streams of wave-dodging Buicks and Chevrolets travel the length of the Malecon from the gray hulk of the Castillo de San Salvador de la Punta to the borders of Miramar. You can hail one from wherever you are – but the best ones are booked in advance – like we did – to travel in style and luxury. You can also find them right outside the Capitolio Nationale aka the White House of Cuba. 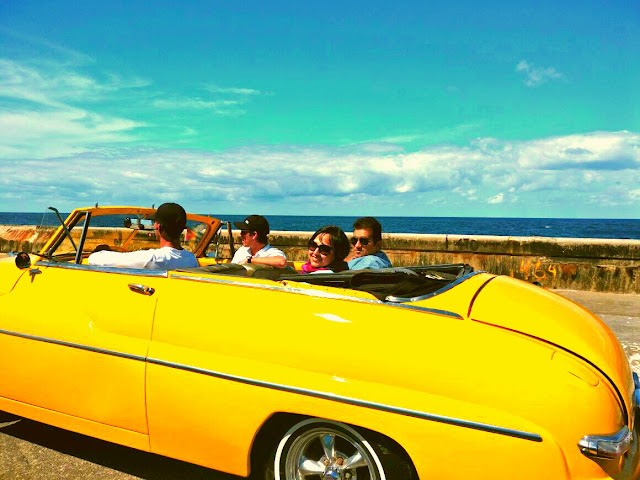 We hopped into our Chevy and we drove around the city. 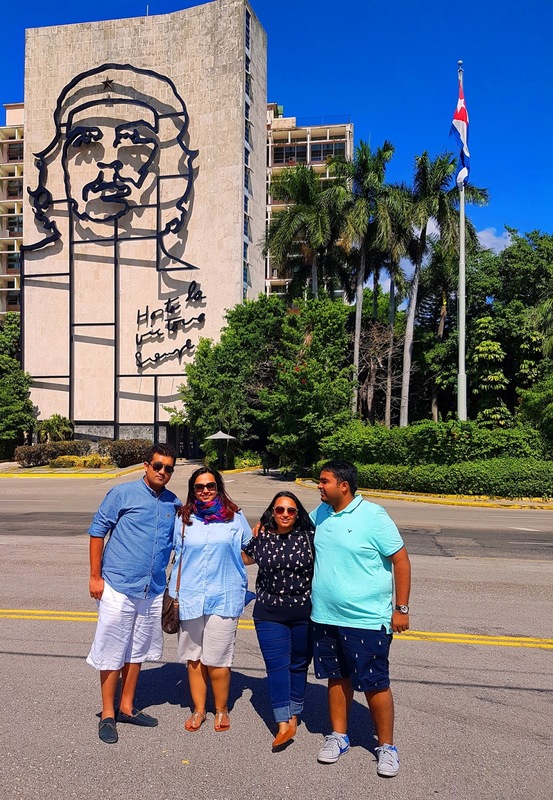 Our first stop was the Plaza de la Revolución. Conceived by French urbanist Jean Claude Forestier in the 1920s, the gigantic Plaza de la Revolución (known as Plaza Cívica until 1959) was part of Havana's 'new city,' which grew up between 1920 and 1959. As the nexus of Forestier's ambitious plan, the square was built on a small hill (the Loma de los Catalanes) in the manner of Paris' Place de l'Étoile, with various avenues fanning out toward the Río Almendares, Vedado and the Parque de la Fraternidad in Centro Habana. 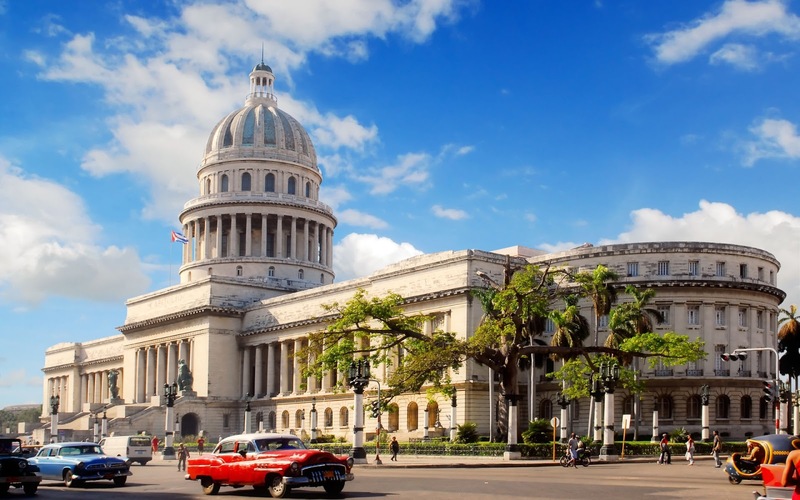 Surrounded by gray, utilitarian buildings constructed in the late 1950s, the square today is the base of the Cuban government and a place where large-scale political rallies are held. In January 1998, one million people (nearly one-tenth of the Cuban population) crammed into the square to hear Pope Jean Paul II say Mass. The ugly concrete block on the northern side of the plaza is the Ministerio del Interior, well known for its huge mural of Che Guevara (a copy of Alberto Korda's famous photograph taken in 1960) with the words Hasta la Victoria Siempre (Always Toward Victory) emblazoned underneath. In 2009 a similarly designed image of Cuba's other heroic guerrillero, Camilo Cienfuegos, was added on the adjacent telecommunications building. Its wording reads: Vas Bien Fidel (You're going well, Fidel). Dominated by two unequal towers and framed by a theatrical baroque facade designed by Italian architect Francesco Borromini, Havana's incredible cathedral was once described by novelist Alejo Carpentier as 'music set in stone.' one of the oldest in the Americas. 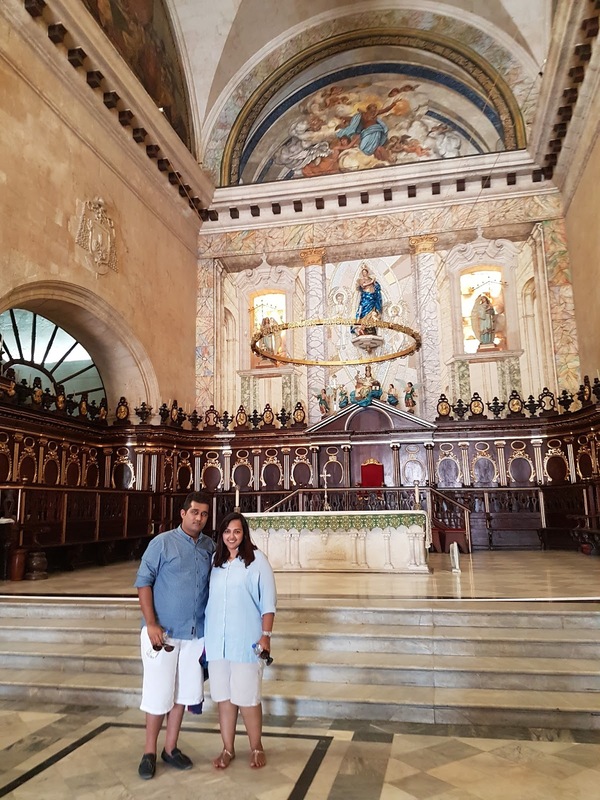 The remains of Columbus were brought here from Santo Domingo in 1795 and interred until 1898, when they were moved to Seville Cathedral in Spain. A curiosity of the cathedral is its interior, which is classical rather than baroque and relatively austere. Frescoes above the altar date from the late 1700s and the paintings that adorn the walls are copies of originals by Murillo and Rubens. You can climb one of the towers for CUC$1. 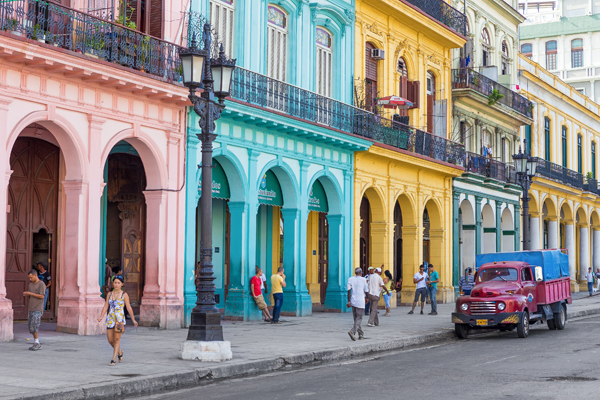 Laid out in 1559, Plaza Vieja (Old Square) is Havana's most architecturally eclectic square, where Cuban baroque nestles seamlessly next to Gaudí-inspired art nouveau. Originally called Plaza Nueva (New Square), it was initially used for military exercises and later served as an open-air marketplace. 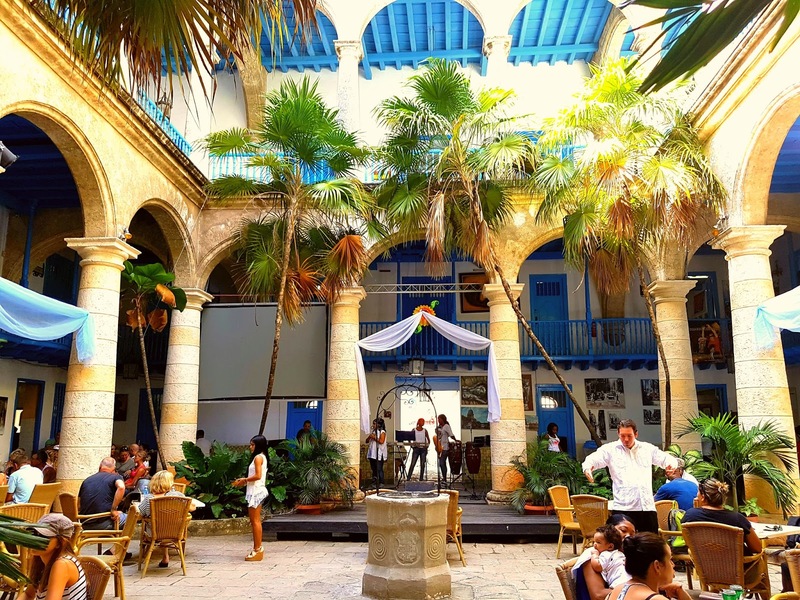 Sprinkled liberally with bars, restaurants and cafes, Plaza Vieja today has its own micro-brewery, the Angela Landa primary school, a beautiful fenced-in fountain and, on its west side, some of Havana's finest vitrales (stained-glass windows). Made famous thanks to the rum-swilling exploits of Ernest Hemingway (who by association instantly sends the prices soaring), this is Havana's most celebrated bar. A visit here has become de rigueur for tourists who haven't yet cottoned on to the fact that the mojitos are better and (far) cheaper elsewhere. 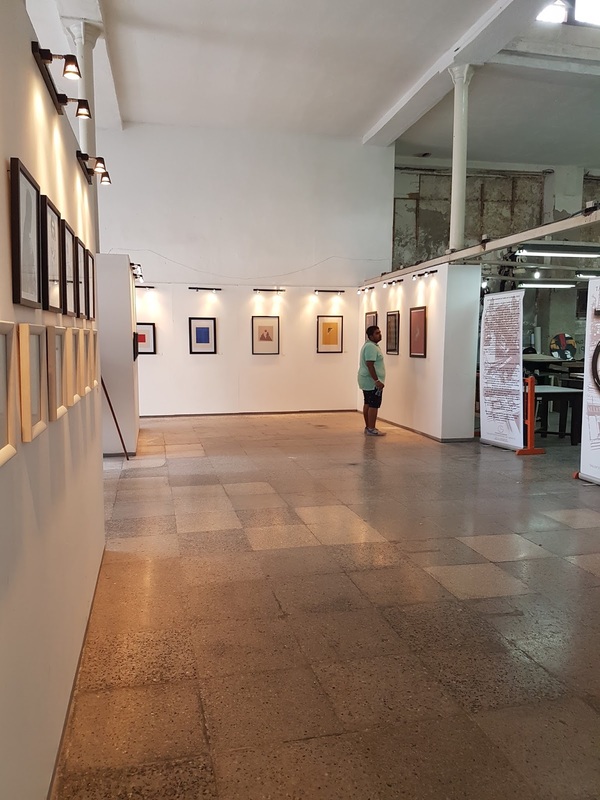 On the corner of Plaza de la Catedral, this cultural center contains the melodious Cafe Amarillo and an exhibition center named after the island's most celebrated painter - Centro de Arte Contemporáneo Wilfredo Lam. Rather than displaying Lam's paintings, it serves as a gallery for revolving temporary exhibitions of modern painters. 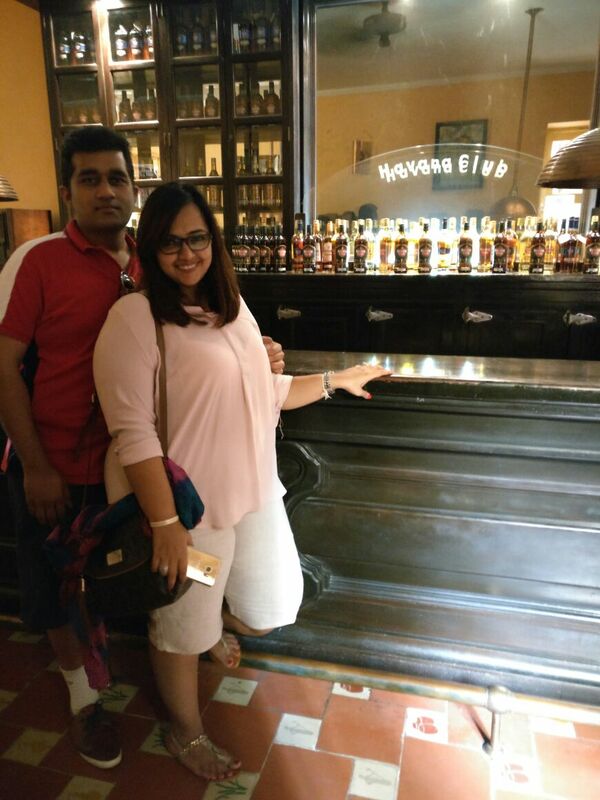 You don't have to be an Añejo Reserva quaffer to enjoy the Museo del Ron in the Fundación Havana Club, but it probably helps. The museum, with its trilingual guided tour, shows rum-making antiquities and the complex brewing process, but lacks detail or passion. A not overgenerous measure of rum is included in the price. The museum sits opposite Havana harbor. 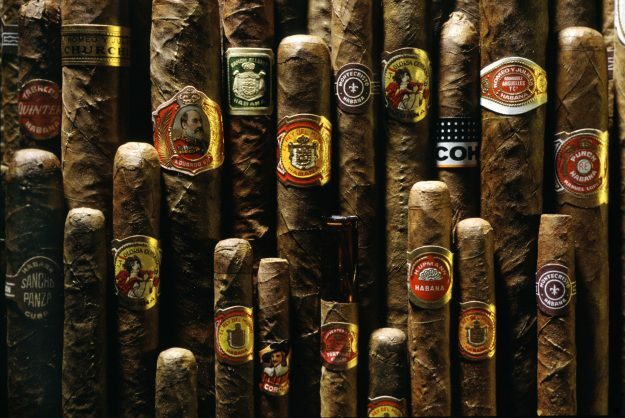 In a country not short of icons, the cigar is one of Cuba's most enduring images. 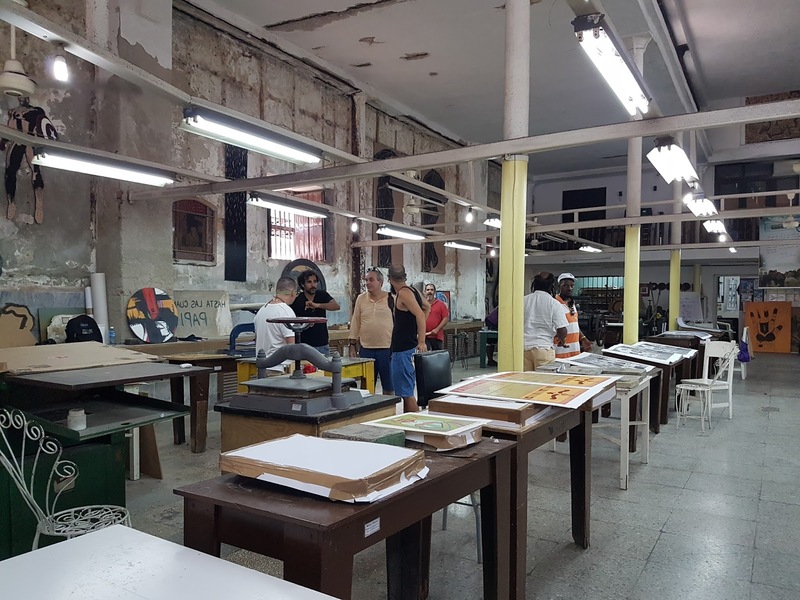 Even if you have no interest in the product itself, a tour of a cigar factory is a must: you'll see workers rolling tobacco by hand and hear the lector (reader) employed to keep the workers entertained in a tradition dating back to the 19th Century. 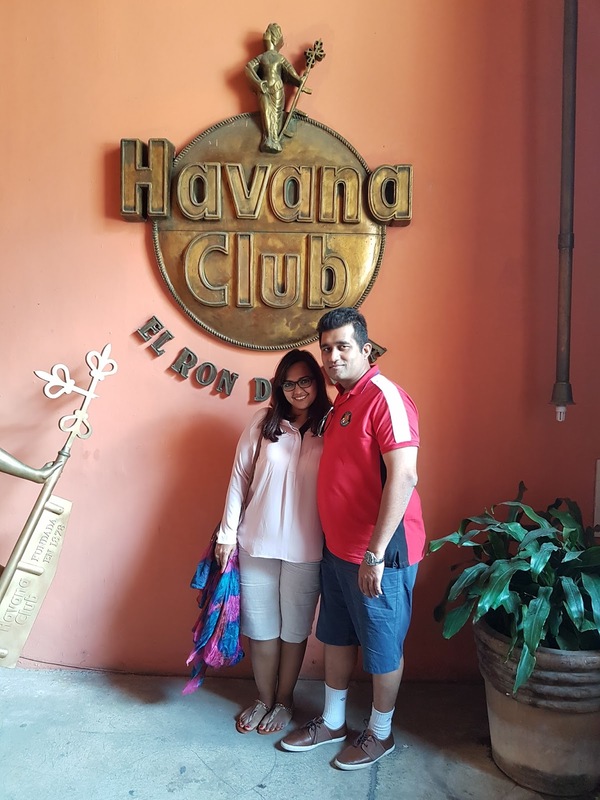 Continue to a rum factory to see how another celebrated Cuban export is produced and to sample different varieties in the tasting room. 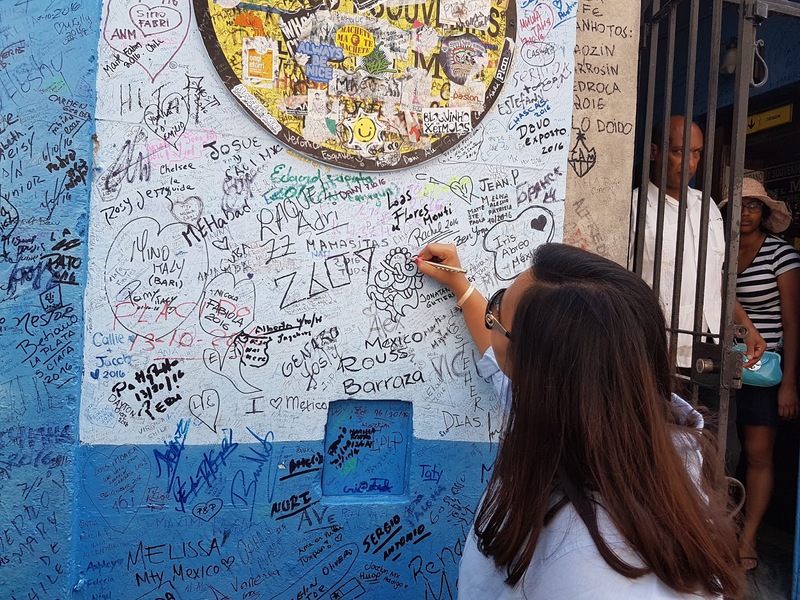 Both visits offer the chance to buy souvenirs – a great way to bring the essence of Cuba back home with you….. We ended out tour on a beautiful Carribean style Patio with some Cuban Singers on their traditional musical intrusments & the lead singer singing folklores. The Cigar Maestro explained to us how to thoroughly enjoy our Cigar paired with our Rum… One experience that shouldn’t be missed I say ! 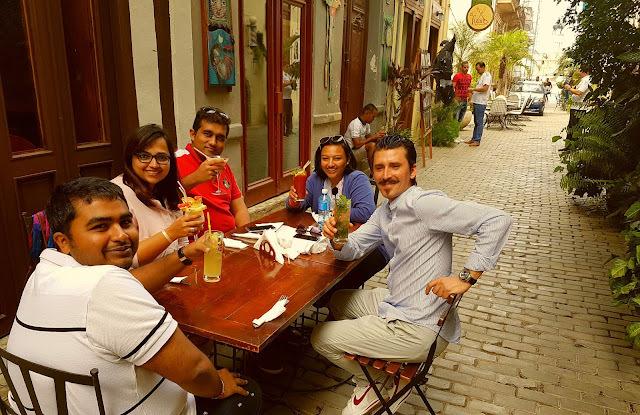 When in Cuba – definitely drink the Cuba Libre ! Our sojourn in Cuba was perfect, thanks to our Guide Leo. 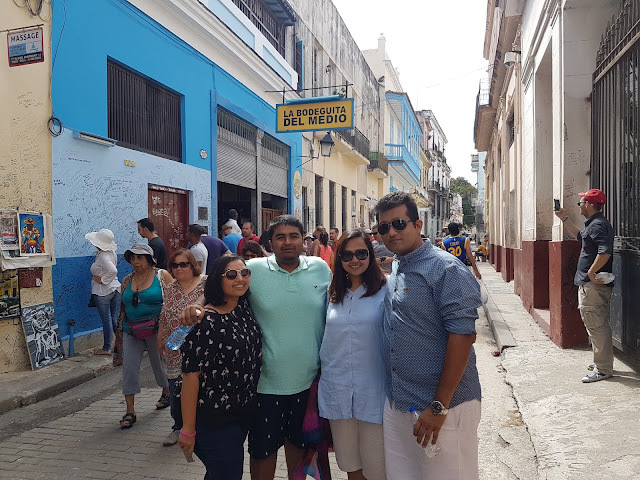 This young man navigated us through the bylanes, gave us stories from the dark side of growing up in an EMBARGO country… some stories that truly make you believe that there is life without Internet and an economy that can run without the support of the United States…. Stories of valour, stories of economic oppression… stories of an adulthood which is much like ours in many ways and yet different. Leo Doubles up as a waiter in Atelier, a fine dine Italian restaurant, whose claim to fame is having served the OBAMAS in their historic visit. 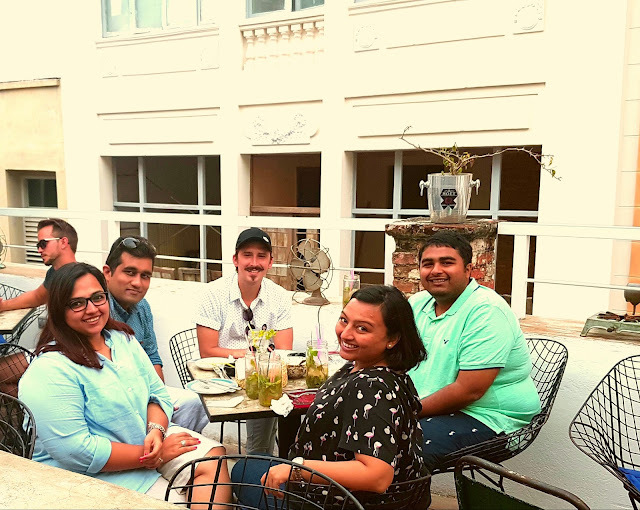 We enjoyed the Pasta and the desserts there – they understand Vegetarian so easily… which is their big plus point and everyone from the server to the waiting staff all speak impeccable English and are super friendly. With Leo, who also introduced us to this art gallery owner, who is also a photographer who made me the best cold coffee with local dark chocolate in this gallery cafe... this place hides behind plaza de armas ... It has a very Miami vibe, something I was to learn only later when I actually visited Miami. For a quick deli style meal, in between your walking tour, near the Capitale is El Del Frente, sit on the open air terrace for the world's best Tacos and a side of Guacamole to die for ... we went twice - because we loved it so much ! The place is impossible to find without Google Maps, download an offline version before you enter Cuba, else good luck finding a good Internet speed to do that while on location ! We also ate at Cafe Artes de Aguillar ... they have the best Cuba Libre and a winning cocktail list. The Pasta fare is worth going for. There is also a Hukkah bar - for the addicts like me. Head over to Enventos - the place is nothing fancy... but in a quite street not far from the Malecon. Call before going to not be disapppinted - they sometimes run out of flavour and wait for their good friends to travel to Miami to bring them back ! This is Cuba, it can frustrate you one minute and unexpectedly inspire you the next... Leo sourced the most amazing Cuban Cigar's for us at half the rate of the factory price, since his future mother in law worked as a tourist guide within the Cigar factory... he even brought back some local ones far better than those exported for us to try. He went out of his way to find someone who could drive us safely back home after Enventos so that we wouldn't have to pay Tourist money since he behaved like he was family ! I loved Cuba's robust culture, and its wonderfully preserved history which is on its way to changing. Go there before they start to please the American tourists dying to go there and loose a little bit of themselves slowly and surely like the rest of the world !